Earlier today, North American-based trucking association Trucking Moves America Forwarded announced that it will serve as an affiliate for Infrastructure Week during May 14 – 19 of this year. Promoting the 2018 message of “The future won’t wait, Neither can we. 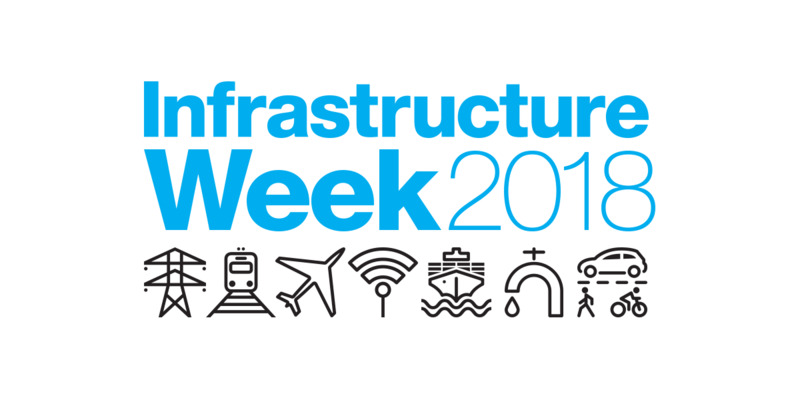 It’s #TimeToBuild,” Trucking Moves America Forward reports that it will provide awareness and visibility for investments in infrastructure during this year’s Infrastructure Week. "Strong infrastructure is critical to the success of the trucking industry and economic security of all of America," said co-chairman of TMAF and president of Jet Express, Inc, Kevin Burch. "TMAF is proud to unite with a diverse coalition of transportation and infrastructure groups to bring awareness to the role that infrastructure plays in our daily lives, especially as the President and Congress work towards passing an infrastructure bill. Closing the nation's infrastructure investment gap must be a top priority." Trucking Moves America Forward reports that It has published a blog on the official Infrastructure Week website to help contribute to the activities during that week. TMAF also reports that the organization will be promoting messages throughout their social media channels that will advocate for stronger Infrastructure within the country.